Multi-faceted artist and producer, Ryan Nicole Austin finds her most fulfilling professional experiences at the intersection of art and activism. For nearly 20 years she has been committed to a career in theater, music and arts administration that transforms community by way of empowerment. As an actress, Ryan has most notably appeared as Bessie in Native Son (Marin Theater Company), BARS (Public Theater), Ruth in A Raisin in The Sun (Cal Shakes). She’s performed at Google, Sony and shared the stage with Barack Obama. She’s a 2017 SF Foundation Community Leadership Award nominee and California State Assembly recognized her for her contribution to the arts. She was Executive Director of Youth Movement Records, where she supported the aspirations of thousands of under-resourced young people in the Bay Area seeking careers in the arts. Most recently, Ryan led workshops on performance as the playwright-in-residence at New York’s Public Theater and will perform at the National Performers Network Annual conference at Yerba Buena Center in December 2017. 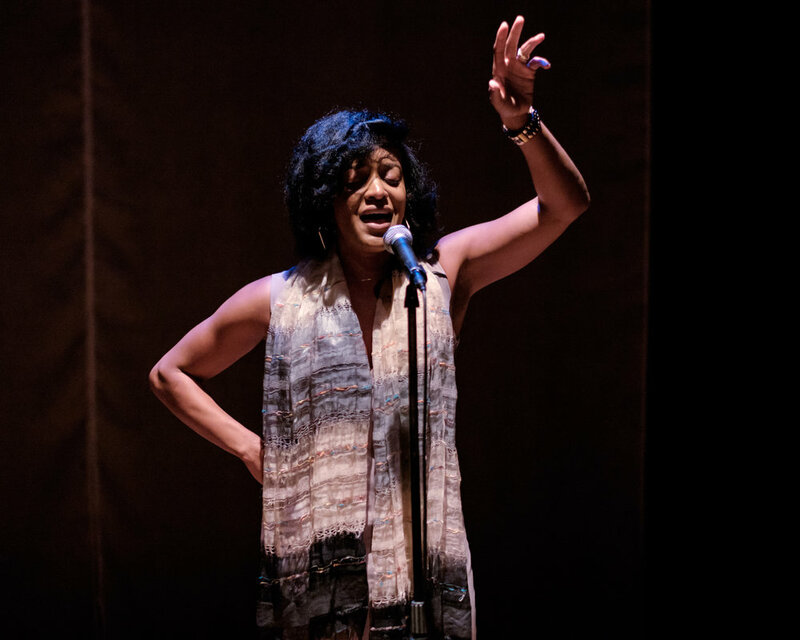 A dancer, writer and racial equity consultant living in Oakland, California Tammy has built a life centering the arts as a source of liberation. 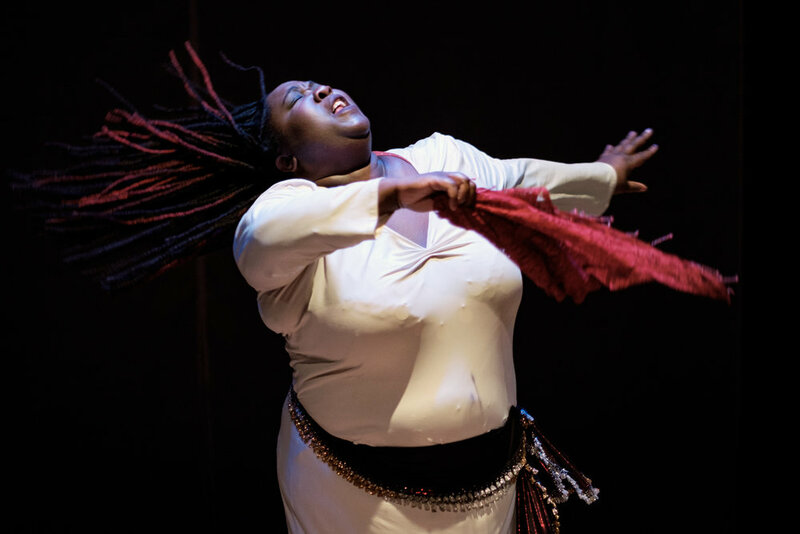 Along with Etang Inyang, Tammy formed the award-winning bellydance duo Raks Africa and co-directed Girls Raks Bellydance and Body Image Program. In 2014 Tammy performed in the San Francisco Asian Art Museum commissioned piece ChimaTEK: Hybridity Visualization Mandala, created by renowned performance visual artists Saya Woolfalk. She was also a 2016 awardee of the Deborah Slater’s Studio 210 residency program. A trip to Egypt deepen her understanding of Northern African Zar ritual and music, Zar, a Northern African ritual dance, connects the past to the present. The Zar is a means of restoring the soul from the daily onslaught of systemic oppression and intergenerational trauma, accepting your spirit, and saying yes to healing. which has lead Tammy's current project, The Healing Suite. The 2018 ensemble piece will investigate how women of color are reclaiming ancestral traditions as a means of addressing modern day traumas. When she isn’t dancing, Tammy focuses on racial justice and the arts through her firm Art / Work Practice. Aiwa! is the story of how a woman finds the courage to say yes to the totality of her life’s experiences. Arabic for yes, Aiwa! is an affirmation of ancestry and a whole self. The piece begins with the calling of 27 names of women of color who were murdered by state sponsored violence and social acceptance of their plight. In addition to the presentation of Egyptian-style bellydance, the inclusion of the Zar, a Northern African ritual dance, connects the past to the present. The Zar is a means of restoring the soul from the daily onslaught of systemic oppression and intergenerational trauma, accepting your spirit, and saying yes to healing. "Territory" started as a dance for 5 Black women, inspired by the concept of cultural protectiveness, specifically of Black American cultural traditions. While there are a number of lofty exploratory and provocative questions floating throughout the process (e.g: Who owns culture? What is the line between individual and collective culture? How do we know if/when something is "authentic"? How can we find our authentic selves, voices, and movement in spite of lifetimes of external influence/indoctrination? ), the site of tension that ultimately birthed the work is the historically Black, underground, Afro/soulful house club scene, a space that continues to be ripe for the study of sociology, power dynamics, and the gentrification/colonization of Black American space. The work is conceptual but non-narrative, and is a work-in-progress that will eventually be a full-evening work; the cast will continue to morph along the way, at the whims of time and space, but with an explicit commitment to maintaining its all Black female composition. dana e. fitchett is a multidisciplinary artist and radical mixed-race Black woman using music, visual art, and movement for exploration of individual and collective identity, and for seeking healing from racism and capitalism through the reimagination of possibilities. Trained in ballet from a young age, she later explored a vast range of movement styles. Despite this training, it was the East Coast underground house music scene that encouraged dana to access authentic movement, unlimited by artificial and imposed barriers she experienced in technical dance practice. Her dancemaking process is grounded in supporting others to reconnect to their intuitive movement. Amelia Uzategui Bonilla is a performer, director, arts administrator and dance educator from Perú. A graduate from the Juilliard School’s Dance Division and the Tamalpa Institute’s leadership training, Amelia’s work combines technical prowess, cultural identity, and emotional sensitivity. She has worked collaboratively with artists and institutions in Berlin, Croatia, Argentina, throughout Peru and the United States. In 2013, Amelia founded Río Danza Comunitaria in Perú, recognized nationally as an organization that protects water rights through community performance and arts education. She currently studies with Anna Halprin, Nina Wise, and the Tamalpa Institute and serves on the Planterary Dance committee and the Tamalpa Institute Alumni Circle. Watch Amelia in local performances with Afro-Peruvian dance company, Cunamacué and visit her studio in Oakland, CA. Chris Babingui was born in Enyelle, Congo Brazzaville. Babingui began his artistic career in hip-hop. He has toured extensively internationally in Africa and Europe from 2012-2014. In 2012, Chris participated in Gregory Makoma and Florent Mahoukou’s creation of a piece titled Wake Up. His other works include a solo performance of his Nibo Nabo choreography in Mbogui Square in San Francisco, CA (2015). 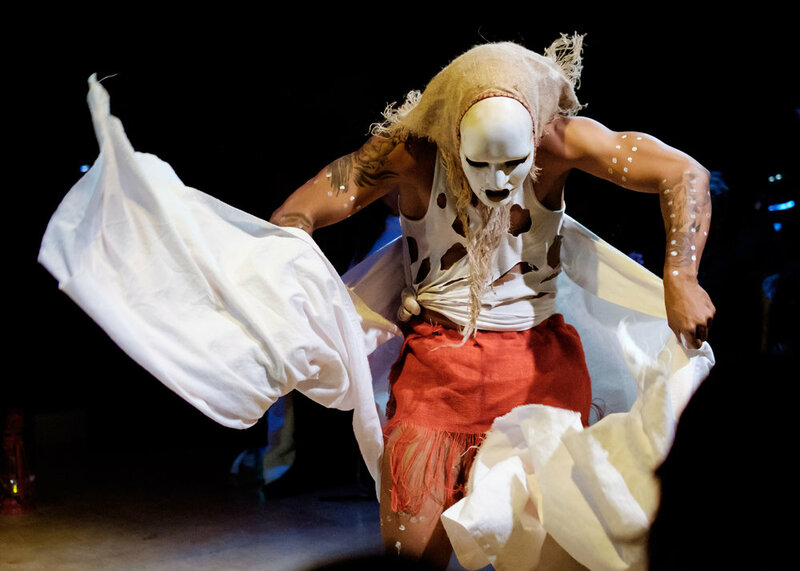 An interpretative performance of Nkisi Nkondi by Kiandanda Dance Theater, Saint Mary’s College of California and Red Poppy Art House, San Francisco, CA; Ntela Traditional Congolese Interpretation by Loubayi, Louden Nelson Center, Santa Cruz, CA; Nibo Nabo, REVERBdance Festival, New York, NY (2016). His latest creation, Iboga- Odzanga premiered at Evening of Duets, Philadelphia, PA; Nkisi Mabele by Kiandanda Dance Theater at Dance Mission Theater, Black Choreographers Festival, San Francisco, CA and Malonga Center, Collage Des Cultures Festival, Oakland, CA; Ndogi at Miner’s Foundry Cultural Center, Nevada City, CA; Iboga Odzanga street dance at Festival Platform Mbogui Square, Santa Cruz, CA; Improvisation Dance at 60th San Francisco international Film Festival, San Francisco, CA; Iboga Odzanga street performance, Washington, D.C.; Nibo Nabo, Richmond Dance Festival, Richmond, VA; Nkissi Kongo, Choreography by Vivien Bassouamina and Chris Babingui at Café Istanbul, New Orleans, LA; Taboos and Heroes, Eastside Cultural Center, Oakland, CA (2017). Iboga-Odzanga is the original name for Ekongo, which means warrior rites. Its origins derive from the Kouyous and Mbochis tribes. This dance is a traditional war dance of the Congo Basin, carried out before each battle to galvanize the fighters and awaken the spirits of the ancestors. It expresses the warlike idea of bravery, sacrifice and sense of honor. The dance is performed using combos (races and jumps) based on physicality and the flexibility of the body. Accentuating the dancer’s performance is a haunting and poignant melodic vocalization which further connects us to the deep meaning of the ritual.